Few things are more frustrating to growers than discovering that their crop has developed a serious mold infestation, particularly when the plants are nearing maturity and are almost ready to harvest. Not only does this potentially mean the loss of monetary proceeds from the crop, it also involves a significant amount of lost time. Mold often goes unnoticed until it’s affecting a substantial amount of the crop, and growers are frequently left with little choice but to dispose the majority of valuable vegetative material. Following are five strategies designed to keep mold infestation levels low in greenhouse-grown crops. Mold thrives in dark, dank conditions. Watering early in the day ensures that foliage has a chance to dry out before night falls. Most growers put watering at the head of their list of daily chores to give plants enough time to dry off. Mold colonies are more likely to develop in areas without good air circulation. However, it’s essential to keep your greenhouse fans in pristine condition — if mold spores have established a presence on their blades, they can be distributed throughout your entire cultivation area. Leaky roofs and windows are prime culprits when it comes to mold infestations in greenhouses. Be sure to check these on a regular basis, and be alert for pools of water, however small, showing up where they shouldn’t. It’s also important to seal windows and doors tightly so that condensation doesn’t become a part of the picture. There should be enough room between individual plants that the foliage is several inches apart. Crowded greenhouse conditions are one of the major causes of mold infestations because they interfere with air circulation as well as limits exposure to grow lights. Strong light sources go a long way toward preventing the conditions that cause mold colonies to become established in the first place. 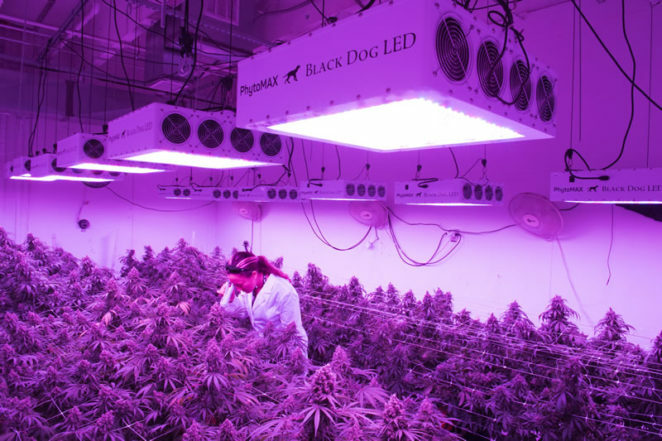 Ultraviolet grow lights not only help keep opportunistic mold spores from setting up shop in your cultivation area, they may increase the potency levels of certain crops. Canoga Park, CA 91304. If you’re located in the USA, you can reach us at (800) 575-3475, while those outside the country can speak with one of our representatives by calling (747) 444-3380.